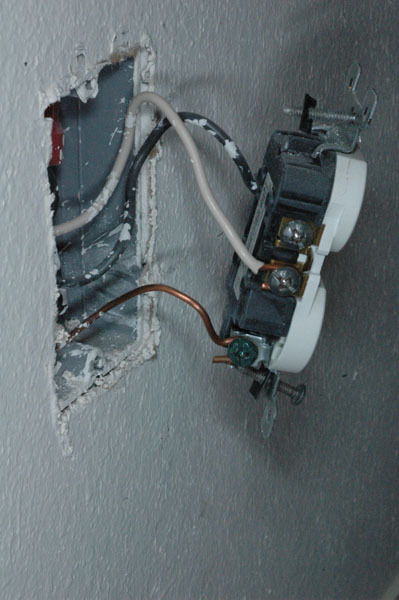 Self-Assessment Guide for signs that a home may be affected by drywall Associated Corrosion. The Florida Department of Health developed this self-assessment guide to make it easier for homeowners to determine if their home meets the criteria for a possible case of drywall associated corrosion as specified in our current case definition. These evaluation steps included here are designed to be taken by a homeowner or building trades professional without any special training in materials analysis or environmental sampling. These steps focus on the appearance of discoloration and corrosion of metals consistent with the presence of reduced sulfur gasses. You must be able answer yes to each indicator before you meet the possible case definition. To reach an increased level of confidence that a home suffers from drywall associated corrosion, we recommend materials analysis by trained professionals as described in the case definition. The problem of drywall associated corrosion is known to occur in homes built, renovated or repaired with drywall replacement since 2001. 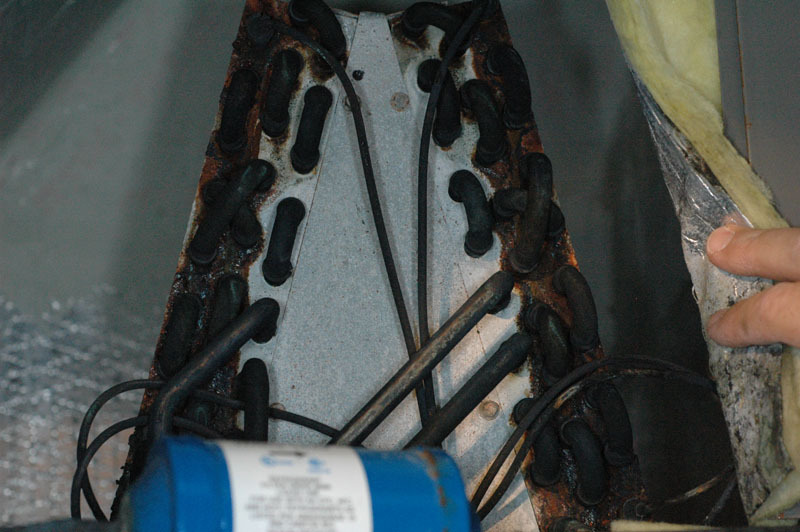 Coil failures indicative of this corrosion problem typically occur every 6-14 months, instead of the normal 10 to 20 years. If the A/C evaporator coil has been replaced, contact the repair company to see if they have any notes that indicate the condition of the coil during replacement. 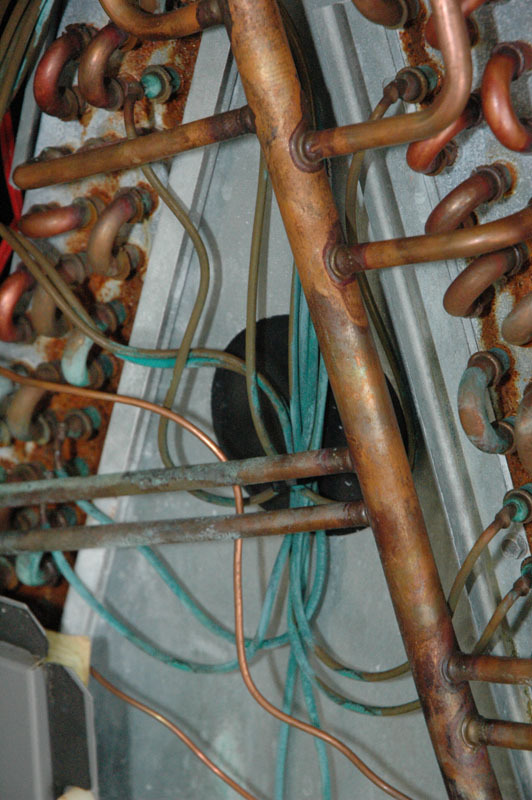 Ask the repair company if copper in the evaporator coil had turned black or were there signs of a different coil failure mechanism. Option 2: For air handling units located in an inside a mechanical closet or in the garage. 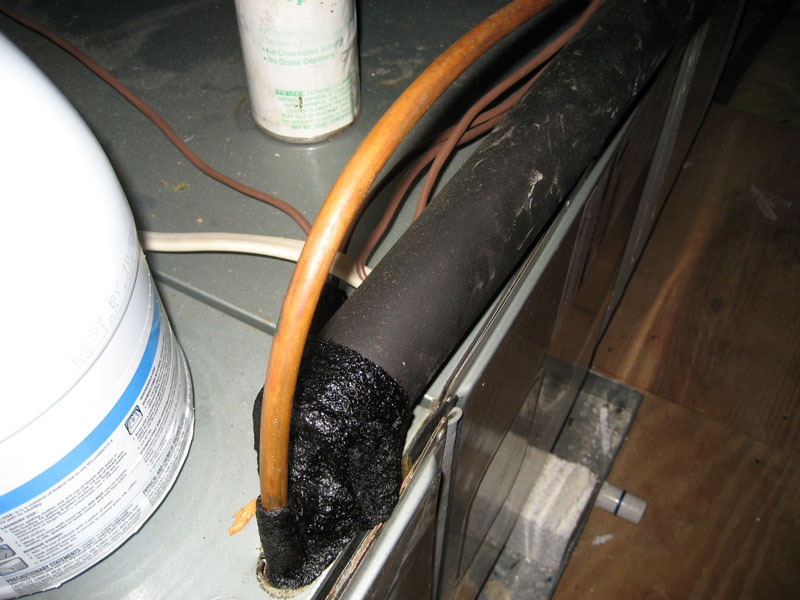 Look to see if the compressed refrigerant line going into the air handler has a black appearance, typical of sulfur corrosion. 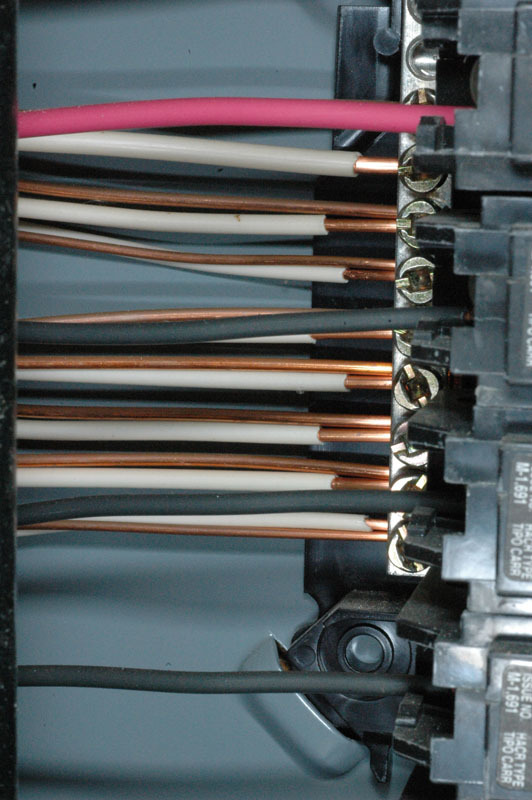 This copper line is approximately ¼ inch in diameter and can be easily viewed without opening the air handling unit (AHU) or removing any panels. If the air handler is in an interior closet or in the garage, go to it and look at the un-insulated copper line going into the air handler. Compare it to the images below. The link to the image on top shows the normal copper color which changes with age and normal exposure to the environment. 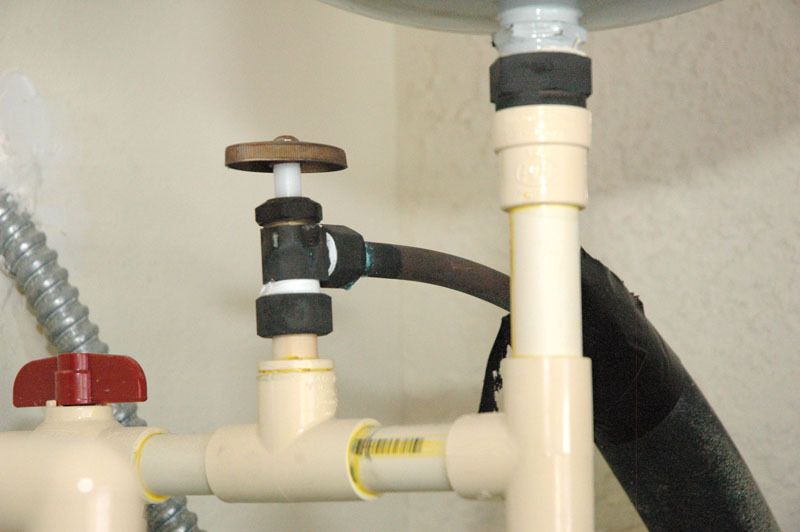 The image below shows the blackening copper corrosion that is typically caused by exposure to corrosive sulfide gasses. 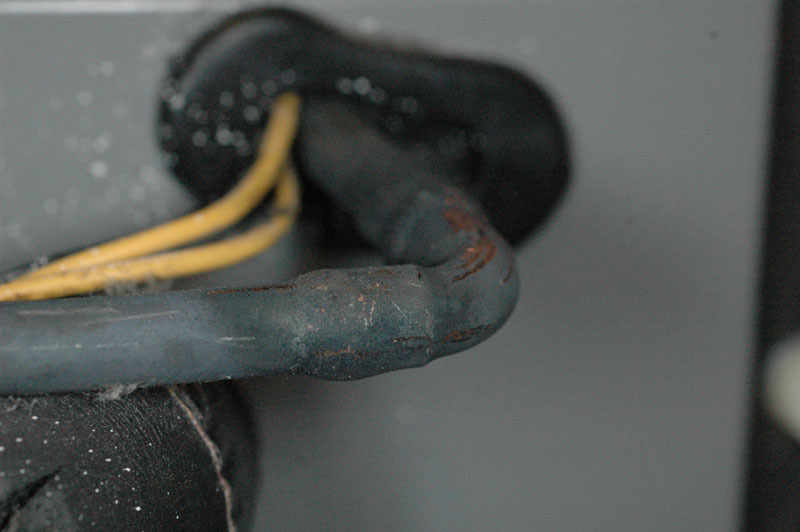 It is less likely to find the blackened copper corrosion on the un-insulated refrigerant line in homes with corrosive drywall when the air handler is located in the attic or crawlspace. We recommend you have a state licensed air conditioning contractor evaluate copper corrosion on the coils inside these units. 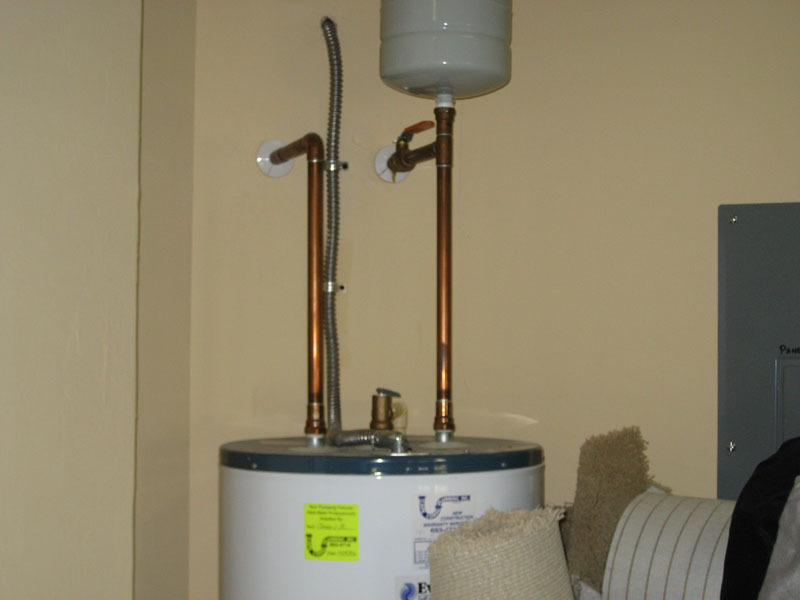 You may also have a a contractor evaluate the coils for copper corrosion when the air handler is in a closet or garage. 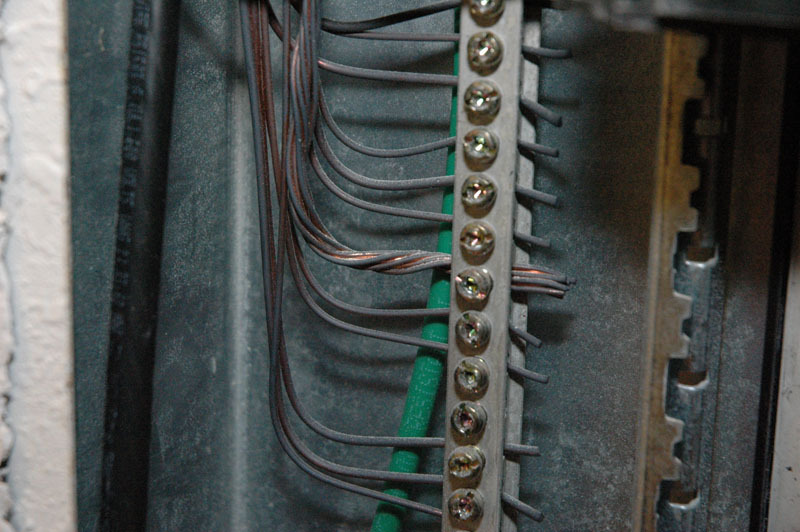 Electrical wiring as well as other copper, silver and metal fixtures may exhibit sulfide corrosion when exposed to the reduced sulfur gases. 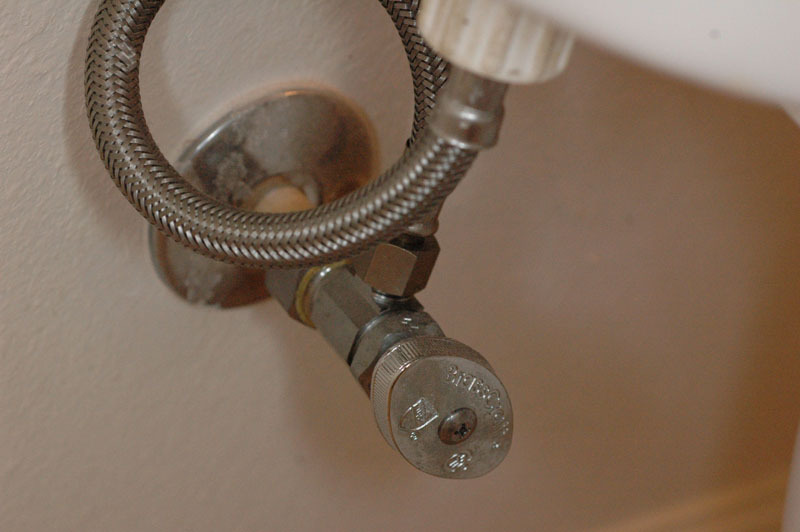 Most of the following items may be examined by the homeowner. 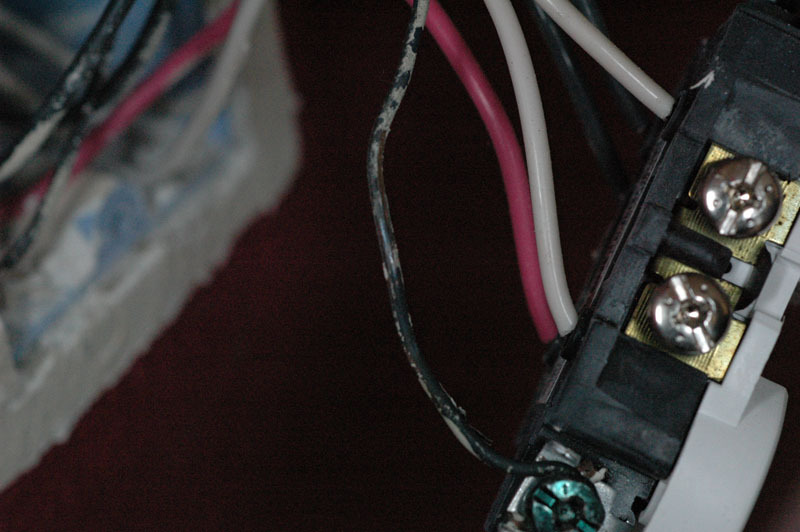 Due to the electrical shock hazard presented by live wires, we recommend you hire a licensed electrician to inspect electrical system components. 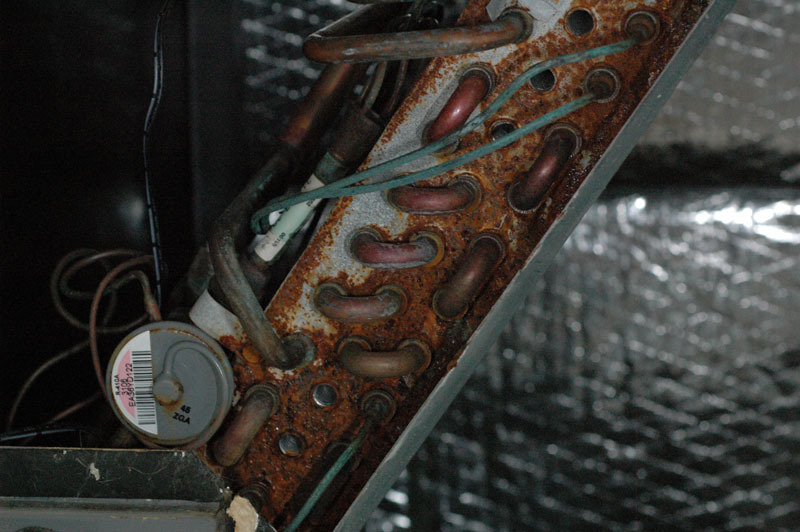 For additional examples of metal corrosion, see the photos in the case definition. If you answered 'Yes' to all three of the previous questions, the home meets our criteria for a possible case of drywall associated corrosion. 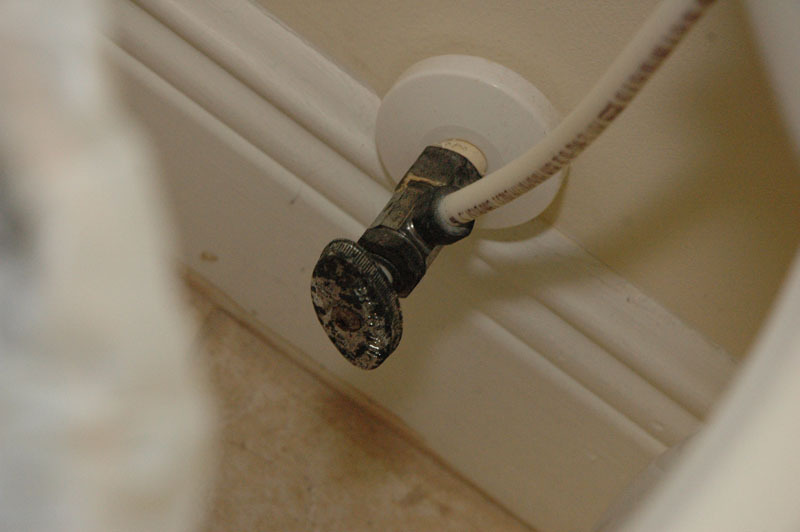 Before proceeding to remediate your home, we recommend you have your home evaluated by a trained professional to see if your home meets case definition criteria 3 for a confirmed case.